This thread is only for those who really have too much time on their hands. 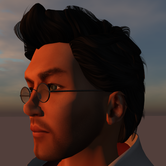 Within the format limitations of SL it is possible to create 17,996,810,618,404,900 unique textures (including sculpt maps, normal maps and specular maps). How long would it take for a computer to generate them all, how long would it take to upload them and would LL give us a quantity discount on the upload fee? The last question is rather crucial since at the regular rate it would cost a bit more than seven times the real world's total economy and I don't think that's very realistic. Oh no, it's not that bad. SL only supports power-of-two pixel resolutions and that makes it a lot easier to handle if you are a computer. You start by making all the 4,294,967,296 possible 1x1 pixel textures. Then you pair them up to make the 8,589,934,592 different 2x1 textures, pair up the 2x1 textures to make 17,179,869,184 2x2's and so on to get all the textures with y resolution smaller than or equal to the x resolution. Finally, you take all the textures with different x and y resolution and rotate them 90 degrees to make the ones with y higher than x. Come to think of it, maybe it's better to skip that last step. Rotation can be done in-world of course and we don't want to laod down SL with more textures than necessary. Ideally want to elminiate all but one of the monchrome ones too, and also the ones that are just pixel inflated or repeat inflated versions of lower resolution textures, and the ones that are just mirrored and/or rotated versions of others and all the color variants that can easily be done by in-world tinting. It'll take a little bit of extra work identifying all those superfluous textures but it shld be worth it for the sake of optimisation - we don't want to encourage inefficient content of course. It'll reduce the upload cost a bit too of course and every trillion saved is a trillion earned. The more immediate question is, are you gonna be able to fit all of those on your HDD? 32-bit color depth means 256 colors (0-255) per Red, Green, and Blue. 256 * 256 * 256 = 16'777'216 shades of color. 1024 * 1024 = 1'048'576 pixels. 1048576 * 16777216 = 17'592'186'044'416 unique 1024px textures. A PNG file with 32 bits of color information at 1024x1024 resolution is going to take up exactly 4096KB (4MB) of space to store. My personal internet connection is a 60/10, meaning my upload speed is 10Mb/s or 1.25MB/s. This means that, in lab-perfect conditions, with no interference or interruptions (and no throttling from Linden Lab), it would take me almost 278 hours or 11.5 days to upload those highest resolution textures. And honestly, you wouldn't want to generate all of those lowest resolutions first. If you generated only the highest resolution textures, you could crop them to get yourself lower resolution textures that would still be equally unique (since all of those unique lower resolution textures would be contained in the 1024x1024 ones). If this was supposed to be the most useless thread ever, it should have been asked so as to get votes! That may be a problem too, especially since it turns out I made a slight mistake in my calculation. I mutliplied the number of possible color variants for each pixel with the number of pixels in each possible texture size but that's not right. It's the number of color options to the power of the number of pixels. That means that even with all the optimisation techniques I mentioned in my last post, there are still more possible textures than there are elementary particles in this universe and that may be a little bit too much for the CDN servers to handle. I suppose we have to put the project aside until we find a universe with a more generous elementary particle quota then. Cloud storage is very cheap .. pennies per GB .. 70TB for scratch space would be insignificant next to the upload fees. But resorting to cloud storage would potentially make this even more complicated / slow. First (I'm) uploading to the cloud for at least 12 days. Then, assuming you can install SL into that cloud as well (or somehow "directly connect it"), you're at the mercy of that cloud service's bandwidth limits which may be limited/restricted.Though the currently fastest cloud service I could find is able to upload files at 40Mbps or 5MB/s, it is still 55 hours on top of my 12 days of uploading to the cloud and doesn't include any bandwidth usage limits imposed by the service itself. Besides, ChinRey stated in her OP that the upload fees alone would put the whole planet in poverty many times over, so the final cost can already be ignored as untenable. Yes, but as Wulfie said, it would slow things down a bit. A very riught estimate is that with 5 MB/s it'll take about 8,000,000,000,000,00,000,000,000,000 Vigintillion years to upload it all and the universe wasn't really supposed to last that long. I'm not sure if they'd grant us an extension so we can finish the upload.